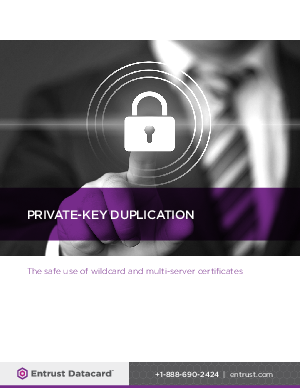 Properly managed, multi-server and wildcard certificates can provide increased flexibility. Since the consequences of a compromise can be more severe than they would be for a conventional certificate, supplemental safeguards should be employed. In the absence of these safeguards, we do not recommend the use of either multi-server or Wildcard certificates, due to both the security risks involved and the expanded scope of management issues in the wake of a compromise.